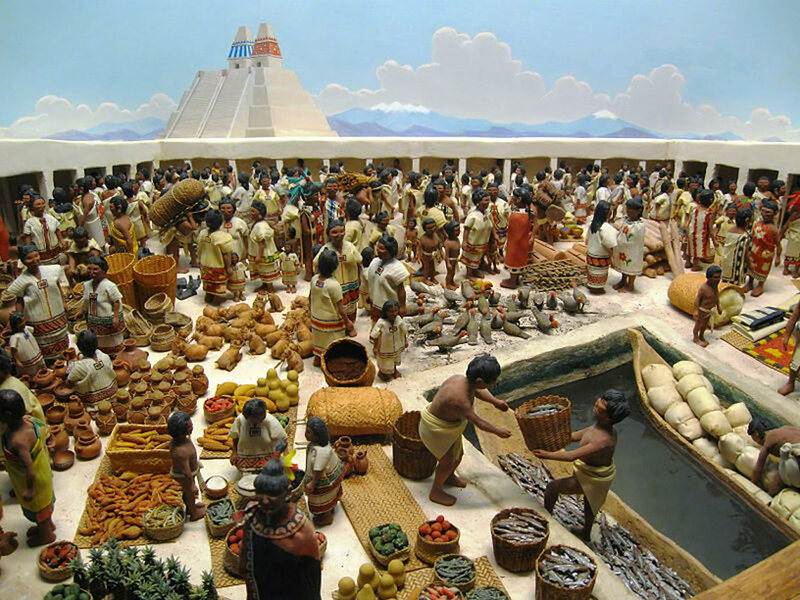 During the pre-Hispanic era there was a huge market that marveled the Spaniards and changed their habits forever; here the last battle between Spaniards and Aztecs took place in which the Spaniards took Cuauhtémoc as a prisoner, the last Aztec Emperor. 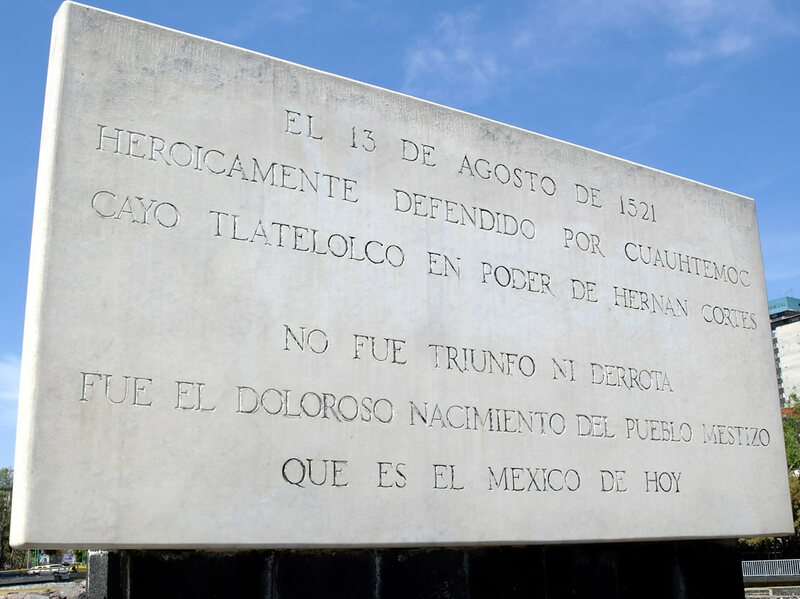 It was not triumph or defeat; it was the painful birth of the present Mexico. 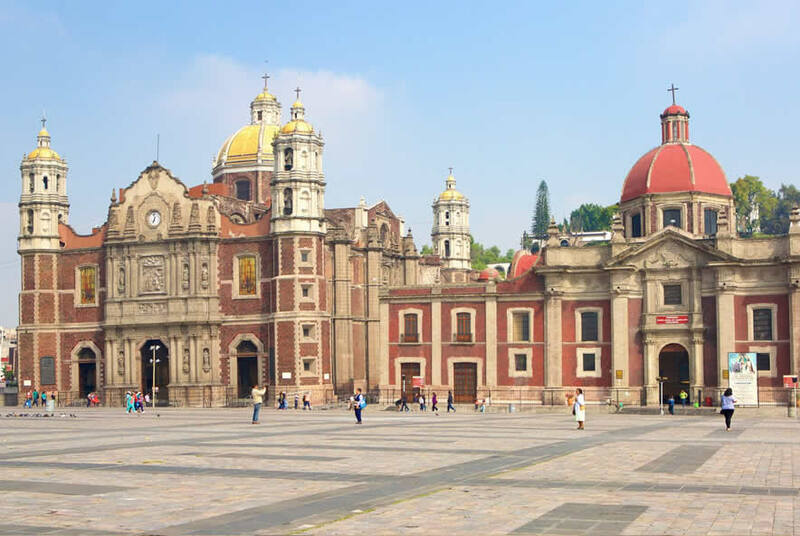 Here the Spaniards built one of the first Catholic churches as part of the theological conquest. 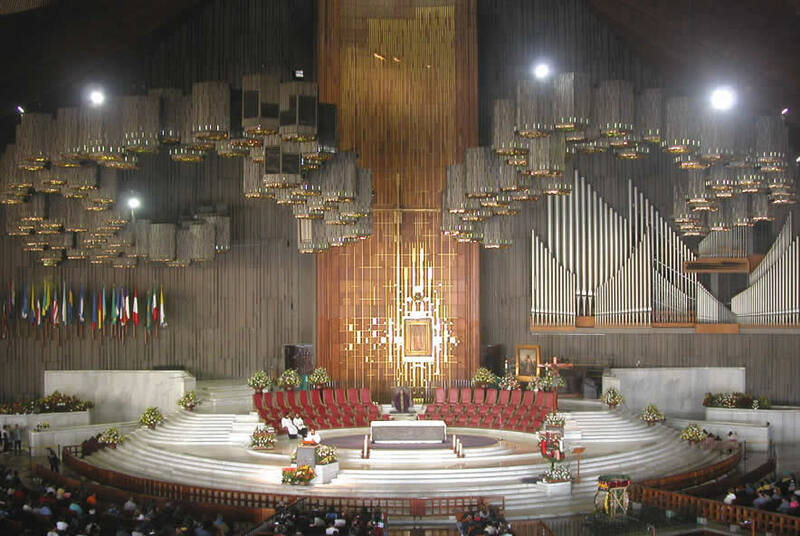 Here on February 14, 1967 was signed the Tlatelolco Treaty for the Prohibition of Nuclear Weapons in Latin America and the Caribbean. 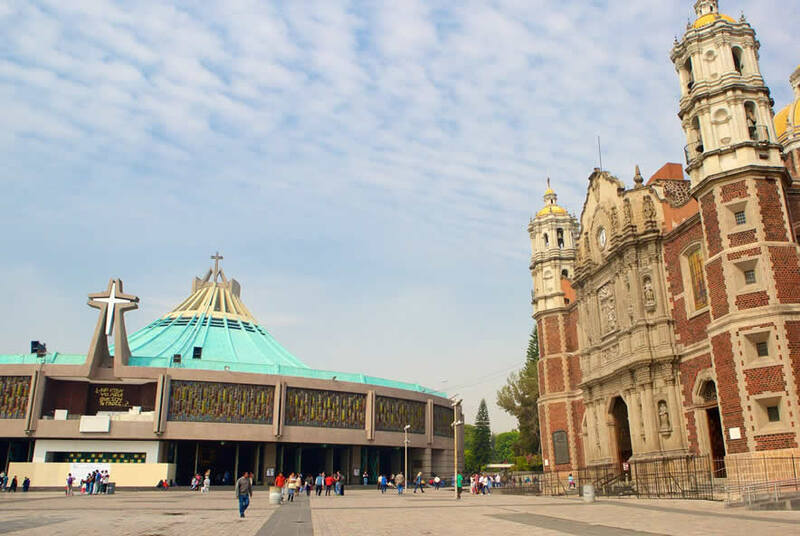 Basilica of the Virgin of Guadalupe: Tonantzin-Guadalupe. 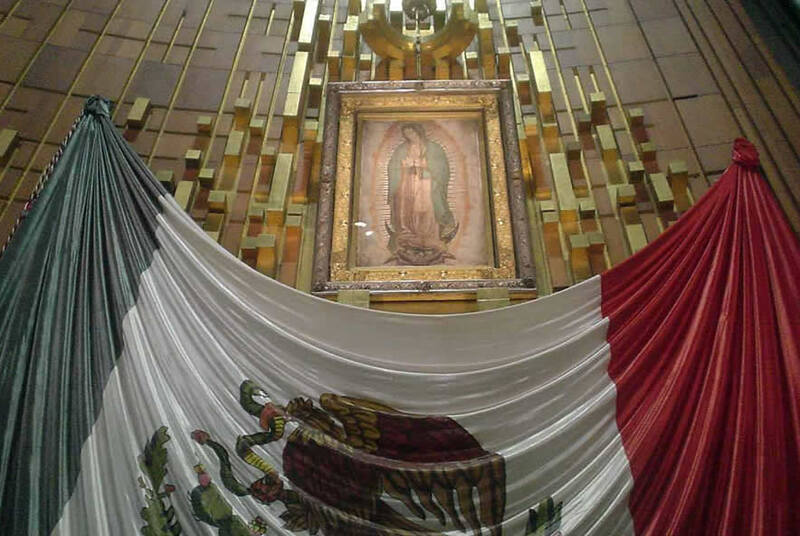 The Basilica of Guadalupe is the most visited Catholic Center in the World after the Vatican with more than 22 million visits per year and it is the Heart of the Spirituality of Mexican. 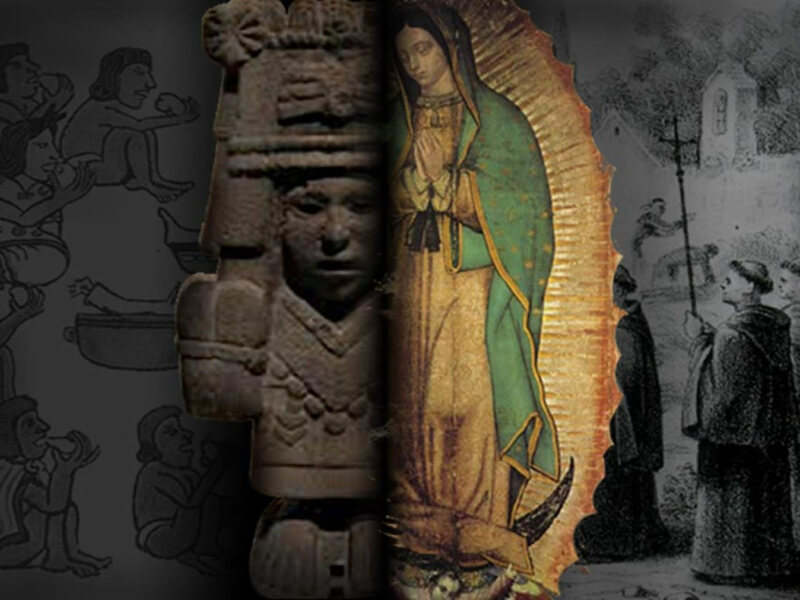 Here we will visit the Old and New Basilica of Guadalupe, the Capilla del Pocito, the Parroquia of Indios and the Offering; we can also admire the image of the Virgin of Guadalupe stamped on Juan Diego's Tilma and we will learn about her relationship with Tonantzin Coatlicue the Mother Goddess of all the Aztec Gods. 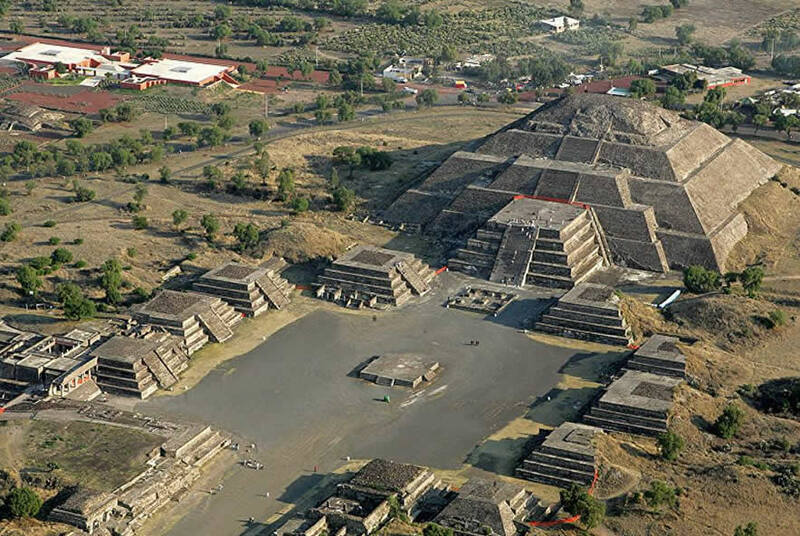 Pyramids of Teotihuacán, declared a World Heritage Site by UNESCO in 1987. 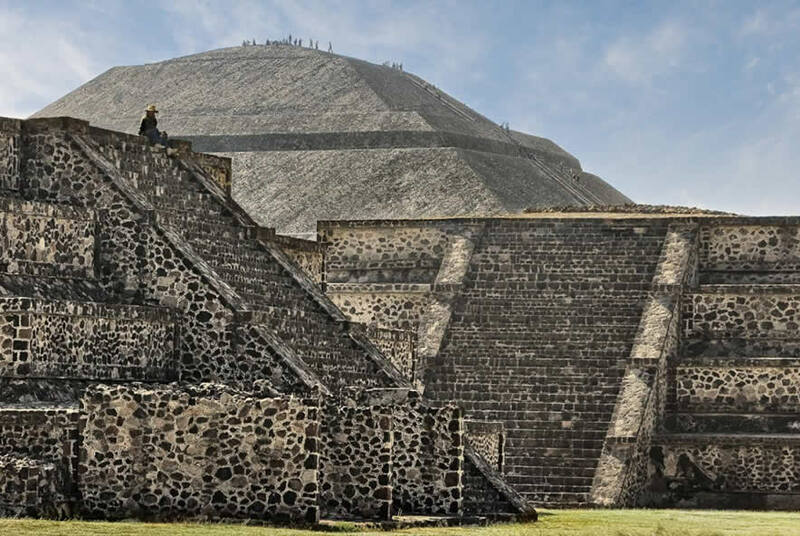 Teotihuacan means "Place where Men become Gods" and although this name has a Náhuatl etymology that used to be the language spoken by the Aztecs, the Aztecs were not the ones who built this impressive Metropolis, but do not worry, our Tourist Guide will give us valuable information about it. 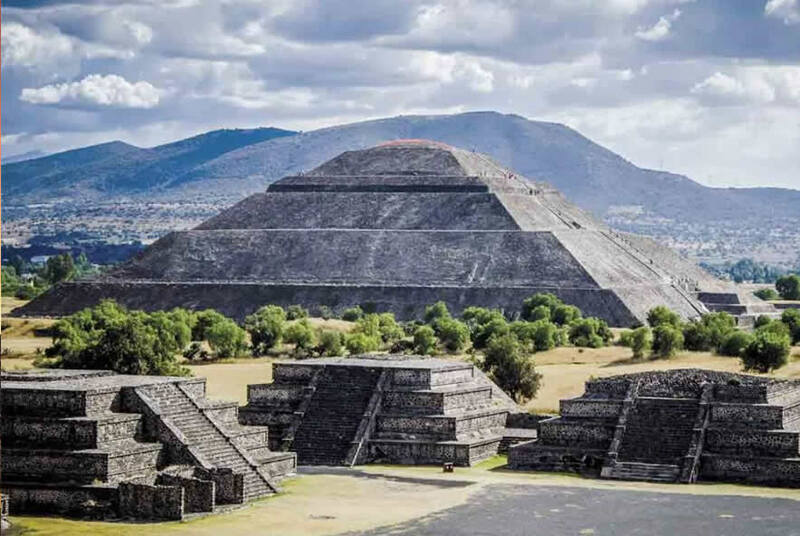 We will visit the Temple of Quetzalcoatl one of the main Gods of the Aztecs, the Pyramid of the Sun, the main building in Teotihuacán with a height of 66 meters and with 260 steps to reach its highest part, 52 steps for each Sun or Era. 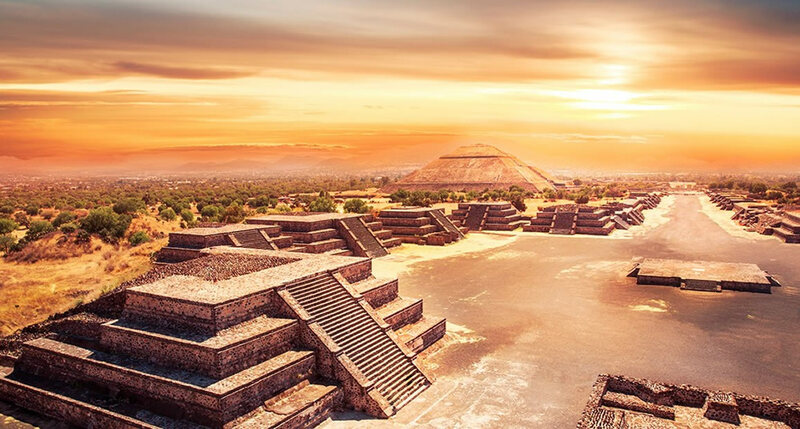 Numerous Mesoamerican civilizations explained the creation of the world in their cosmogony through the myth of the Five Suns and according to these civilization, we are living in the Fifth Sun era. 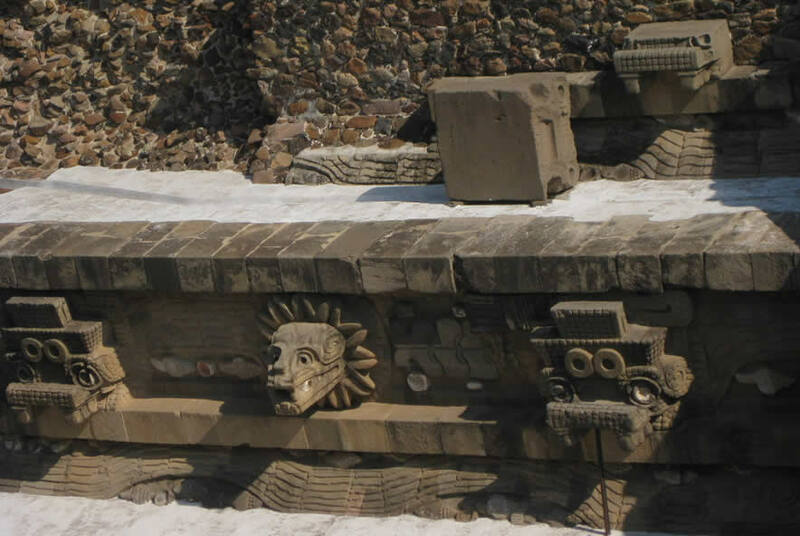 Well, for the Aztecs, the Fifth Sun was created right here by their Gods, in Teotihuacán. 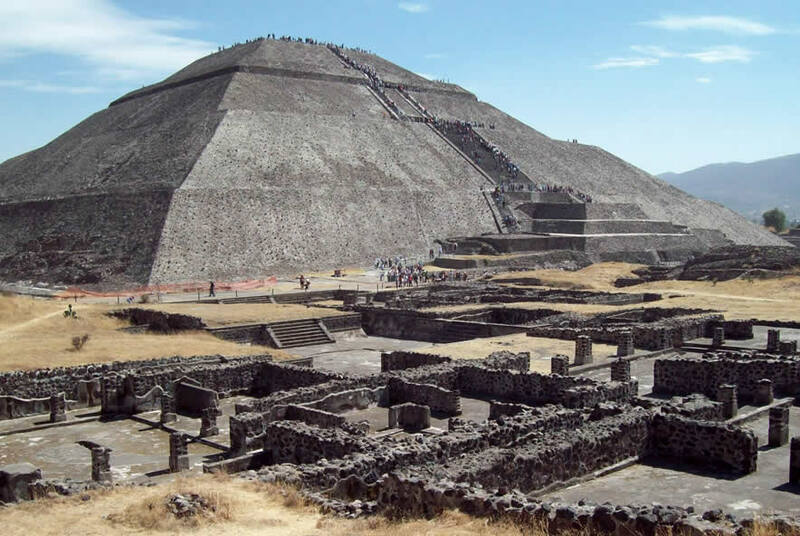 We will walk along the Calzada de los Muertos (Dead Avenue) until we reach the Pyramid of the Moon. 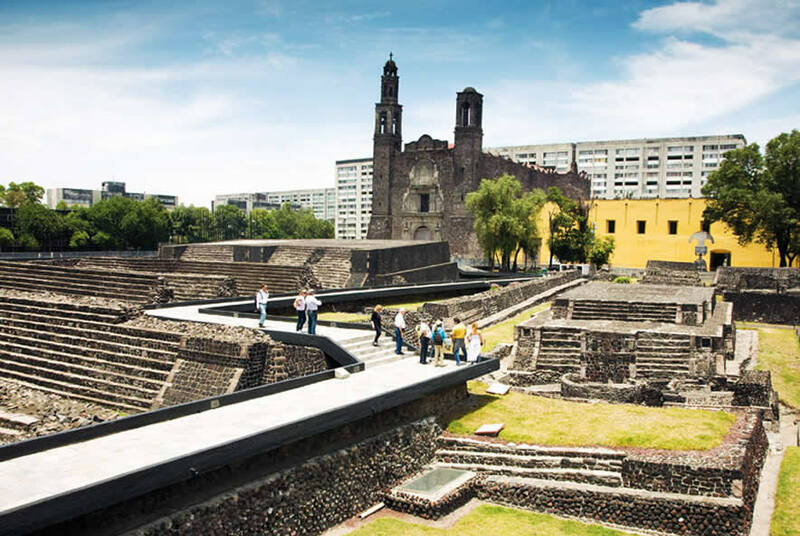 We will visit the Jaguars Palace with a central courtyard surrounded by small rooms; later we will visit the Temple of Quetzalpapalotl, the most sumptuous group found in Teotihuacan. At Golden Crown we are ready to assist you, help and advise you if necessary. If you need additional information or a quote, do not hesitate to send us an email. In Golden Crown™ we are kind, attentive, helpful, respectful and honest. We have the experience that the years of service have left us; however, we know that experience is not a finished product and that is why we are always willing to learn something new and to share it with our colleagues. In this way, we can provide a better service to our customers; and at the same time, we can be better human beings, useful to ourselves, to our families, to our Society and to our Country and in a general way, useful to Humanity. Our Experience: We have more than 10 years of experience as Golden Crown™; therefore, you can be sure that our work team has the necessary knowledge to provide a safe, highly efficient and personalized service. The Quality of our Vehicle Fleet: The maintenance we give our vehicles guarantees to reach their destination safely and without any setbacks. The Service to our Clients: We are proud of the service we provide our clients and we make sure to continue doing it every day with the best attitude. 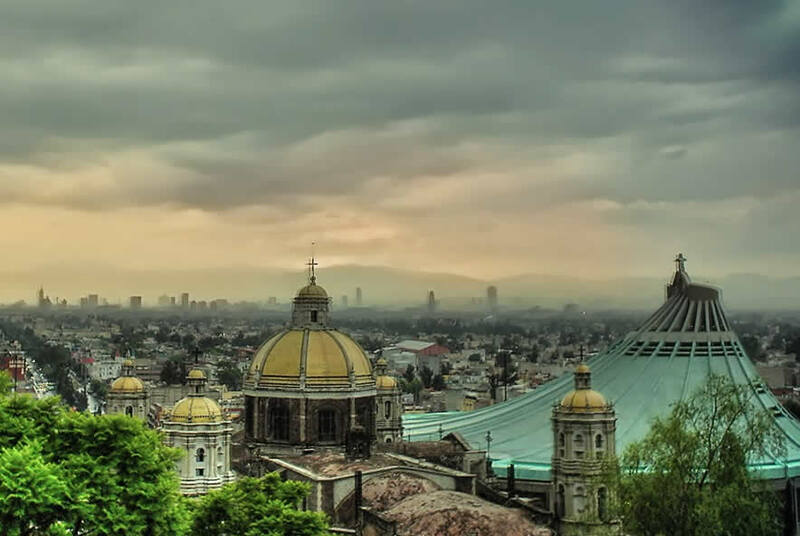 100% Private Tours in Mexico City and its surroundings. They will be recorded and forever in your memory.